The National Foundation for India has published several reports and papers in 1995-96. 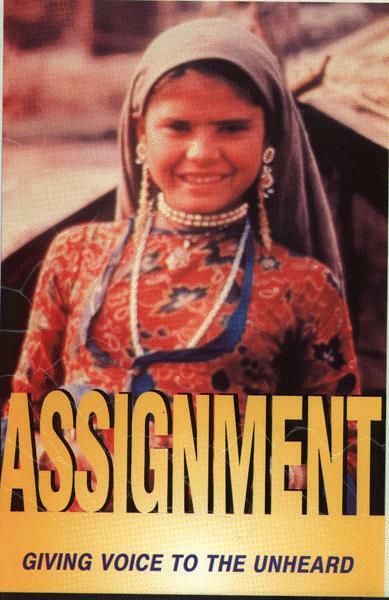 Status of the Girl Child in India : is a report on the Consultations held in Madras and Jaipur in 1993-94. It brought together experts, academics, researchers, representatives of government departments, NGOs and funding organizations from different states. They shared their concern for, and experience with, the most crucial issues affecting the overall development of the girl child in their respective areas. Accountability and Decentralization in Urban Governance : is report from the National Workshop held on October 7, 1994 at New Delhi. The Workshop was attended by senior policy makers in government, voluntary agencies, citizens groups, legal experts and academicians. Certain basic issues of urban governance in the framework of the Constitution (74th Amendment) Act, 1992, on strengthening Nagar Palikas were discussed. Womens Empowerment : Role of Womens Universities and Womens Studies Centre : is a report on the consultation held in Bombay on July 1995. It was attended by Vice Chancellors of five existing Womens Universities in India, directors of various Womens Studies Centres, academicians, activists and senior policy makers in government. The discussions at the Consultation generated a lively debate and provided valuable insights to womens empowerment through Panchayati Raj Institutions and Nagar palikas Bodies to facilitate their participation in the local governance system. Assignment - Giving Voices to the Unheard : is a collection of selected articles researched and written by Media Fellows namely, Ammu Joseph, Nasiruddin Haider Khan, Paramita Livingstone and C G Manjula under the Foundations Media Fellowship Programme. These articles are on the issue of girl child. The three booklets mentioned above were published in : Sustainable Development & Environment Series by the Foundation and disseminated widely.